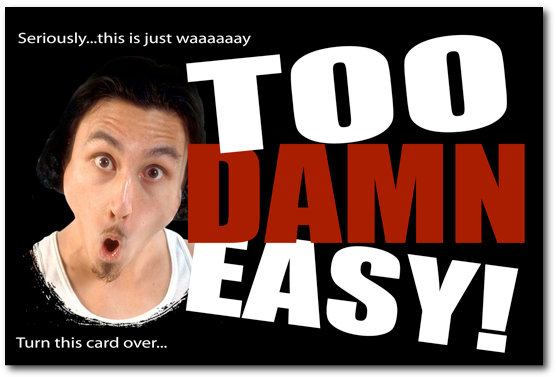 Too Damn Easy – Scam or Legit Money Maker? OK I admit it was the product title that sucked me in. Did it get you too? 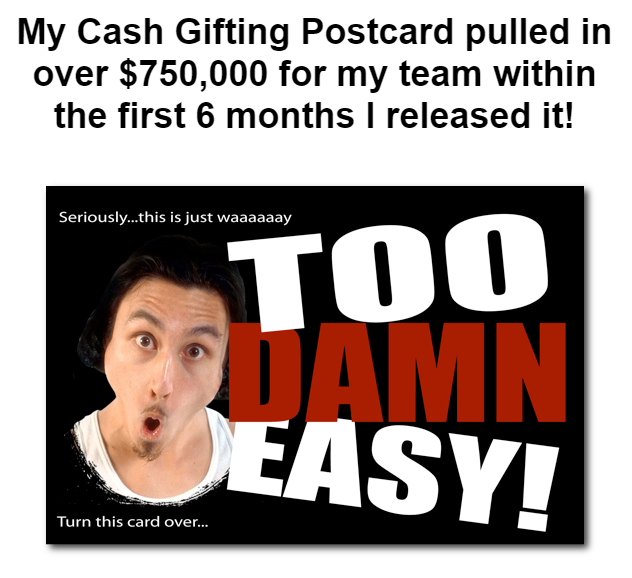 Are you curious about what cash gifting is and whether you can actually make money doing it? Let's take a good hard look in Too Damn Easy - Scam or Legit Money Maker? This make money online system, and I use the term “system” very loosely, has been around with this particular founder since 1998. It’s had a couple of revamps along the way but basically the premise is the same as it’s always been. Now most of these schemes/scams don’t last that long. So perhaps it actually isn’t a scam? We will cover the points in the Quick Guide below so if you want to jump to a particular part, click on the title and go right ahead. But How Exactly Does Too Damn Easy Work? Want To Skip The Scams? So what is cash gifting? How does it work? Will it really make you $200K like the video shows? Yep there’s a blurry video which may or may not be real cash and absolutely no information on how the system works. But check it out if you want! I found a few more videos all of unboxing cash which has apparently been posted to him. The boxes and envelopes are all sealed so it can't be a scam right? Like he wouldn't have staged it and just sent it to himself would he? Do you remember chain letters when you were a kid? I might be a lot older than some of you, and this was really before the interwebz were a happening thing and people use to actually write letters, lick a stamp and post them. Yep I know AMAZING right! You sit back and wait for all the envelopes to arrive with your $1 in them. The premise is the same. You send the letter to 10 people, who then send the letter to 10 people, who then send the letter to 10 people and on it goes to infinity. By the time your name gets to the top of the list, remember they are removing the top name and adding their name to the bottom so yours goes up the list every time this happens, you will have had potentially hundreds of dollars sent to you from random strangers that you don’t even know. And this is what cash gifting is. 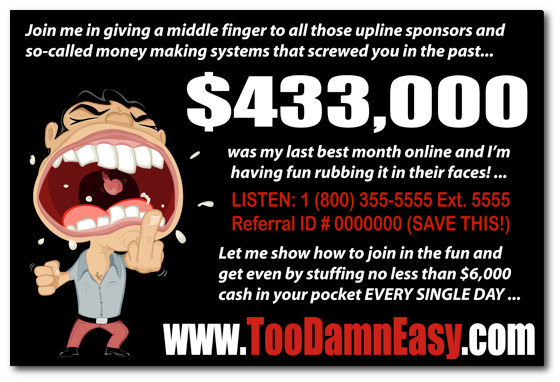 It’s just that Too Damn Easy has modernised it and is reaching even more people through the internet at a much higher buy-in than $1. You might at this point be thinking that sounds like it’ll work right? We could really be onto something with this cash gifting! If you have been around the make money online scene for any length of time this will sound like the very well known and illegal pyramid schemes which do the rounds constantly. It sounds like a pyramid scheme because that’s exactly what it is. And it doesn’t work because people are unreliable and the system always implodes. Funnily enough as a kid I did do the chain letter thing and not surprisingly I never even made my money back. Because people don’t continue with the process and it is solely reliant on the sheer number of people involved to make it work. This is why pyramid schemes don’t work, they collapse in on themselves because there are not enough people for it to continue and those who come in after the initial surge are unable to profit. Well it’s a bizarre and kinda pointless video by the founder “Q”. Yep that’s all you know about him, I’m guessing it’s a him because you never see his face but his voice sounds masculine. I could be wrong and my apologies to Ms or Mrs Q if I am! None of the videos show anything more than his hands and arms. It's all a bit top secret, I'm a spy, and must remain anonymous. Red flag #1 - no real name, no images, no way to tell if this guy is real. Why all the cloak and dagger secrecy over who he is, if he has nothing to hide? The real kicker comes right at the front end of this system. You need to INVEST a minimum of $2,000 to get into the pool of people. Once again I say ïnvest” very tongue in cheek! You are not investing you are going to send your $2,000 to a complete stranger and then hope that others will do the same and send you $2,000. Now you do need to do some basic work to increase your chances of getting any money at all. You can do this by posting off a mix of postcards (that you buy from Q) plus letters to random strangers to get them to join in as well. Or now you can skip the ever so ridiculous postcards and just use a 12 letter system apparently. I had to include some images of the super duper convincing postcards though (they are just too hilarious). Do you really think these are going to convince someone to send you thousands of dollars? So what does Q do to help you get rich? Well he has written the 12 letters that you can download which have your referral number on them. If the next gullible person wants to be involved then they log in to the Too Damn Easy website and enter your referral number so Q knows who the money is going too supposedly. Then the amazing Q with his immense charm will close the deal with them, they pay their $2,000 or more depending on which tier you are in and the money goes to you. Then the cycle begins all over again! BUT wait, I mentioned the tiered structure so if you want to earn even more money you can buy-in to the pool at a higher level. You get to choose $2,000, $6,000 or even $18,000. Red flag #2 - the hype around the sums of money you can earn, in very little time and with very little effort, are an immediate red flag to me. Get rich quick schemes do not work. There I've said it! If it sounds too good to be true, invariably it is. Now back to the $18,000. That’s right! Do you want to send $18,000 to a complete stranger and hope that other people will be gullible enough to do the same!! 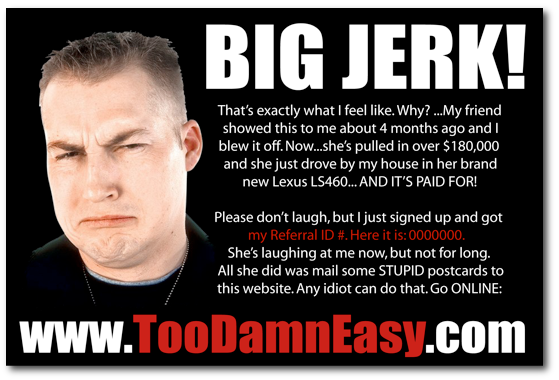 I wouldn’t go so far as to say Too Damn Easy is a scam, but I will say it preys on the gullible and those least able to afford to give away their money. In my opinion at the very least it is immoral to give people false hope and in most countries it would actually be illegal to take part. Want to know a way to make money online that actually works and doesn’t have all that risk or capital outlay involved? I’d love to show you. Affiliate marketing is how you can make legit money online. You can build a business you own and have a long term sustainable income. You can be working online anywhere you chose and creating passive income that will pay you for the rest of your life. Check out my Ultimate Guide to understand exactly how easy it is too do and how it works. Honestly anyone can do this and be successful. Plus as an added bonus the Guide has links so you can get two free websites plus free training to get started and you can join me and I’ll be your Coach and Mentor to help you succeed. Do you have questions about this blog Too Damn Easy - Scam or Legit? If you do drop them in the comment box below, I’d love to chat. What Is 2 Day Profits? Do You Want To Earn $586 today? Previous Post Online Business Classes: Entrepreneurs Made Here Next Post What Is The Secret Millionaire Society? Can You Really Make Millions?